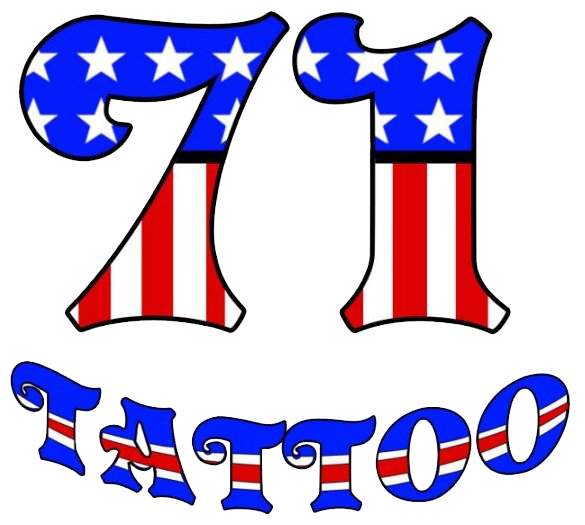 71 Tattoo was founded in August of 2006 by Marty Williams. Marty has been tattooing for over 17 years, having apprenticed under Brian Everett , Mr Max, and Jaime Trujillo at Route 66 Fine Line Tattoo in the early 90’s. After cutting his chops, and learning the ropes, he and Jaime moved to Seattle in 1996, and opened Chrome Ohm Tattoo in Seattle’s Capitol Hill neighborhood, where they tattooed many of the neighborhood’s eclectic musicians, artists and students. Marty owned and operated Chrome Ohm from October 1996 to October 2003, ready for a drier climate, and less expensive living costs, he sold his share of the shop and moved back to his hometown of Albuquerque NM. After working with old friends, to re-establish himself in Albuquerque, he set out to once again open his own studio. After much research, he settled on a location in Albuquerque’s NE Heights neighborhood, seeing that it is densely populated, a great, upscale client base, and no other tattoo studios in the neighborhood. Work began in earnest in June of 2006, and after a complete re-model of the location, 71 Tattoo opened its doors to the NE Heights, and greater Albuquerque area on August 12th 2006 Since its opening, 71 Tattoo has provided Albuquerque with the highest quality custom tattoo work, done in a friendly, state-of-the-art sterile environment, we provide clients with the ability to pull off any style they could possibly want. 71 Tattoo prides itself on customer service, and encourages custom work, we do not steer clients toward acres of regurgitated flash, we work with a client to design something they’ll be happy with years down the road. We provide awesome, custom tattoo work, and artwork, done for a reasonable cost, with a friendly attitude. Its been a good formula for success. We feel by providing top notch service like this, people will come back, and we are now entering year 7. We have 5 Tattoo artists, Marty Williams, Danny V, Joel “Devo” Humphrey, Tim ” Rabbit”, and Andrew Montoya Cochran who can provide the skills necessary to pull off any style a client could potentially want. Our equipment is all single use, and our autoclave is spoor tested monthly, to insure a clean sterile, environment Our shop rate is $125-140 an hour, but we don’t simply start a stopwatch when clients come in, usually , unless its bigger, custom work, we can offer clients a flat rate on a tattoo design. Appointments arent necessary, we do take walk ins, however, appointments are recommended if we are designing something for the client. Artwork takes time, and we’d rather have that time, to design something to the best of our ability, so patience please!